Reserved on the nose, it’s the taste that excels in this very special, single vintage tawny that has been made and matured by Graham’s from birth. It has the depth and host of warm, enveloping flavours that conjure drinking on an autumn or winter’s evening rather than on a terrace in summer. There are bold hints of marmalade – dark, candied chunks like a Dundee rather than Golden Shred. Moreish, the finish goes on and on while developing all the time too, with enough hi-toned structure to not ever cloy. A thoroughly satisfying glass of aged port. Tom Cave, Cellar Plan Manager With the glass sitting in front of me, I am enticed by the incredible aromas of caramelized walnuts and dried fruit leaping from the glass. Such is the concentration of the nose, one could spend much time salivating over the layers of complexity derived by 42 years of careful maturation. The palate is intensely flavoured with warming notes of dried Seville orange, allspice, effortlessly bound by a silky texture. Moving through to a savoury character towards the finish, offset by a lovely note of molasses and figs, the acidity keeps it in check, carrying the flavours through to the long and graceful finish. 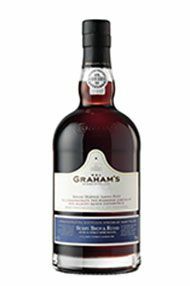 Perfectly balanced, full bodied yet charming, this Graham’s 1972 Tawny Port is a treat and a rarity. The 1972 Single Harvest Tawny Port was bottled in 2015 and comes in with 125 grams per liter of residual sugar. It's a beauty. It starts slow and builds to a nice crescendo, with the acidity emerging to cut the fruit. This elegant wine has a sweet finish to go with its vibrancy and energy. It's a pretty picture overall with caramel, molasses and hints of chocolate on the end, some typical Tawny flavors. Note: This comes with a bar-top cork. Assuming a good cork, it will last indefinitely. The three Single Quinta Ports here were bottled in 2006 and are current releases. They are released late so as to be drinkable, more or less, on release.